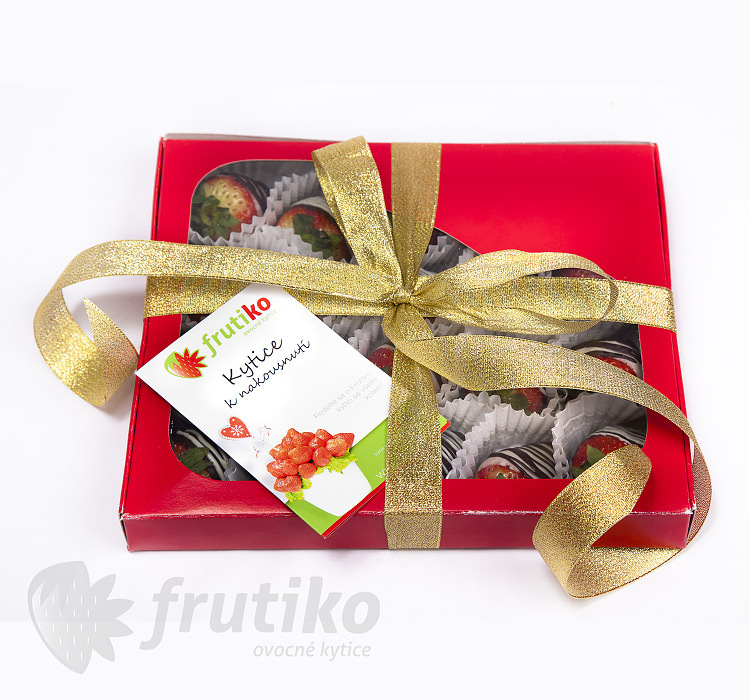 Christmas gift box consists of fresh fruit dipped in quality dark chocolate and an original Christmas gift. 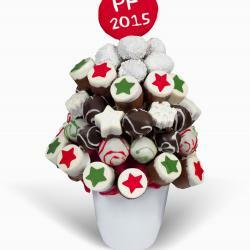 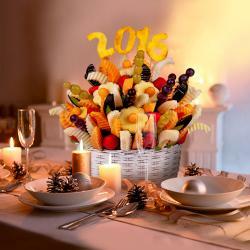 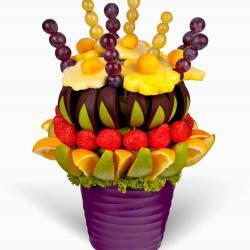 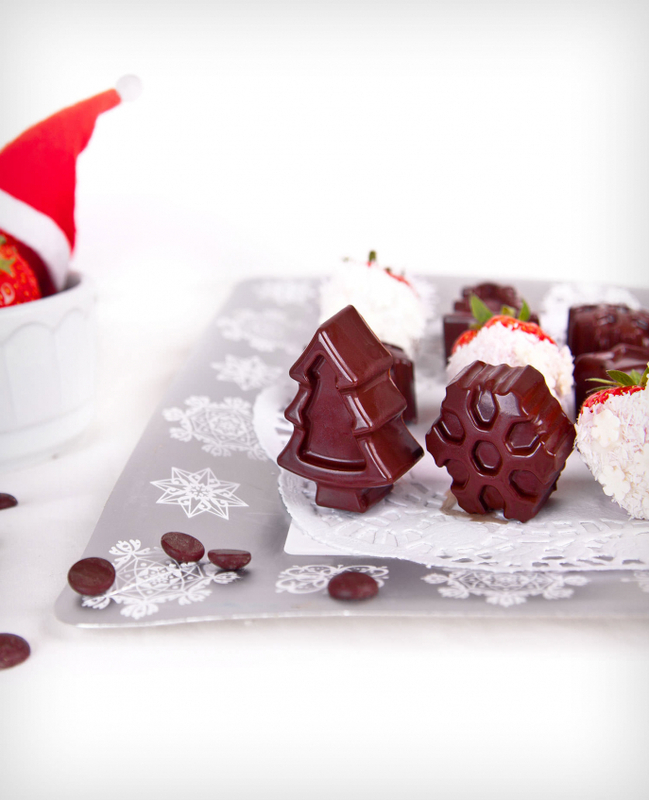 Send this unusual fruit and chocolate as a Christmas surprise your family and friends. 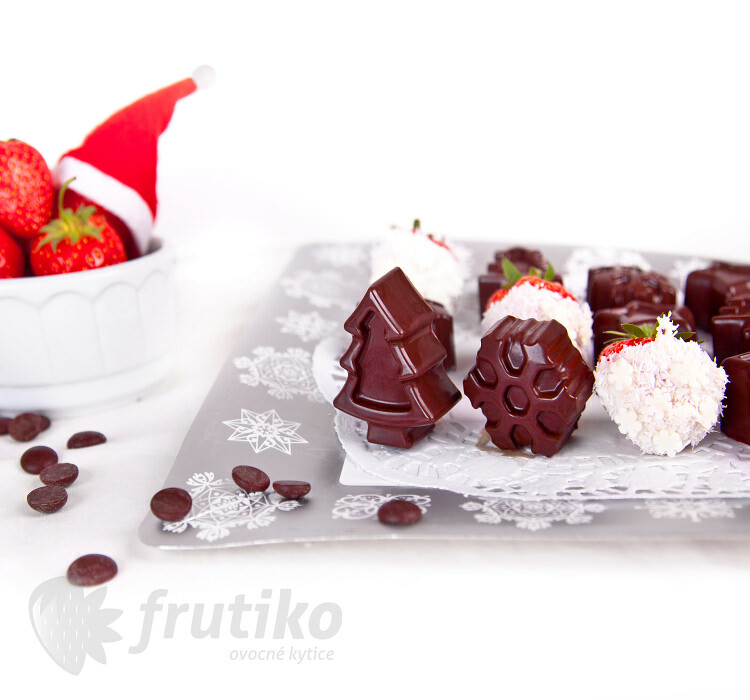 Chocolate boxes contain chunks of fresh bananas dipped in dark chocolate, sculptured in the shape of a Christmas tree flakes and stars and delicious strawberries dipped in white chocolate and coconut. 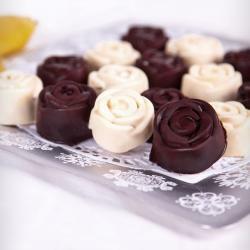 See more flowers in Prague. 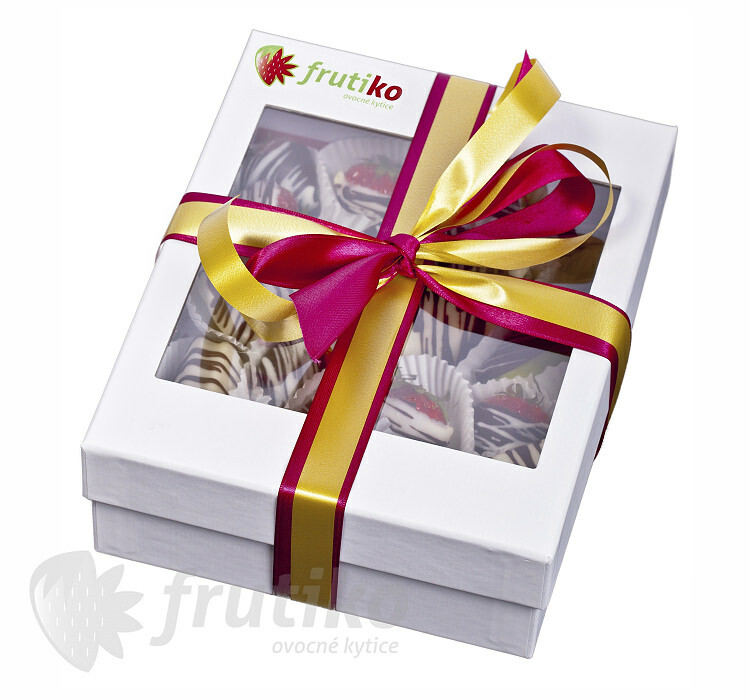 Standard boxes contains 15 pieces of fruit in chocolate, Big boxes contains 20 pieces of banana in chocolate.